Today was a lazy morning for me, still recovering from three weeks traveling through China and attending a four-day, 13,000 attendee SHRM conference. (I have more blisters from SHRM than China, but that’s another topic.) 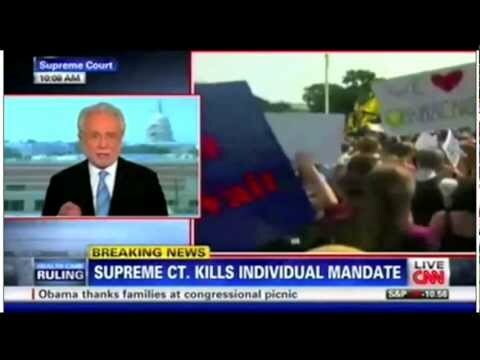 Since I was being lazy, I was watching TV at 10 a.m. when the Supreme Court released their decision on the constitutionality of the Obama health care law. I was tuned into NBC, whose anchors were still thumbing frantically through the pages of the decision. 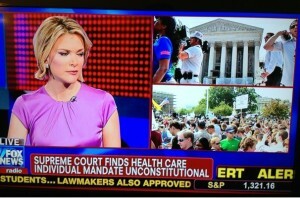 So I flipped to CNN, who displayed the bold caption: Healthcare Mandate Overturned by Supreme Court. CBS and ABC hadn’t even cut away from regular programming. So I flipped back to NBC to see how long it would take them to say the same thing. But they didn’t. In a few minutes, justice correspondent Pete Williams was saying the law was upheld. Then CBS and ABC said the same thing. My remote control got warm. Back to CNN–suddenly, an awkward caption switch to “Law is Said to Be Upheld,” which to me kinda says the caption writers were trying to create a smoother path for what now looked like a hasty reporting error. NBC (and CBS and ABC) got it right. (In fact, NBC’s Brian Williams couldn’t resist a few proudly smug comments toward that effect on his “Nightly News” broadcast, 8 hours after the errors.) We also know that Fox also goofed. I get it–there’s a lesson here. 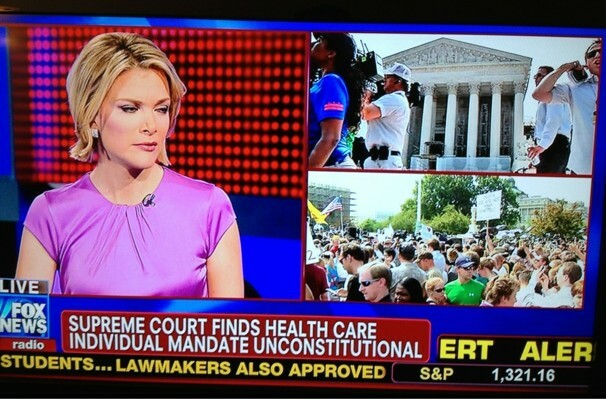 It should be no secret to anyone involved that Supreme Court decisions are complex, detailed documents. Until the time the SCOTUS starts releasing its decisions via Twitter, those involved likely need a breath or two to digest the info, process it, and act in appropriate ways. I need the same stuff to do my best work, to be in my superpower space, and I bet you do, too. I need time to learn/hear, assess and make sense, and to take action. Not always simple to do, but the best things that make us the most successful aren’t always simple. Are you moving too fast? What’s your best tip to slow down? Share it below or on Facebook.